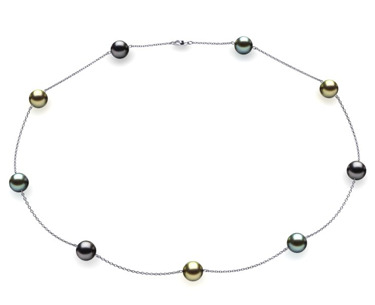 American Pearl offers the internet's largest selection of pearl necklaces, including striking Tahitian pearl necklaces. 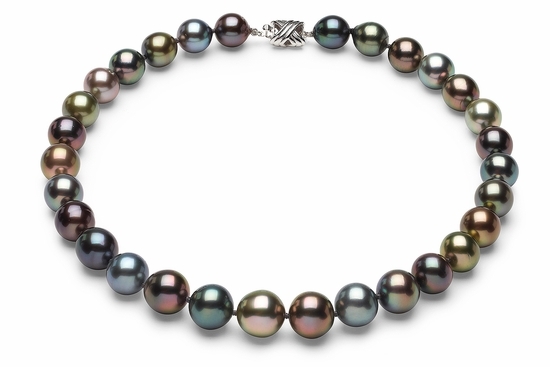 Experience a dazzling array of beautiful, natural color pearl necklaces newly harvested from the pearl farms of French Polynesia. 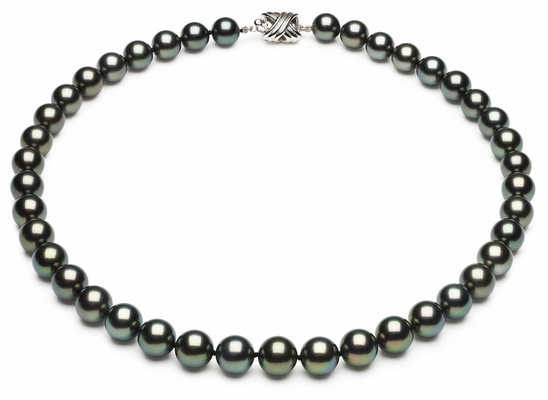 Each Tahitian pearl necklace in our store is made with cultured pearls that exhibit beauty in shape, luster, iridescence and color saturation, and we offer true AAA quality Tahitian pearls for serious collectors or those looking for investment-grade pieces. If you're in the market for an authentic green or black pearl necklace, then you'll love this mesmerizing assortment. 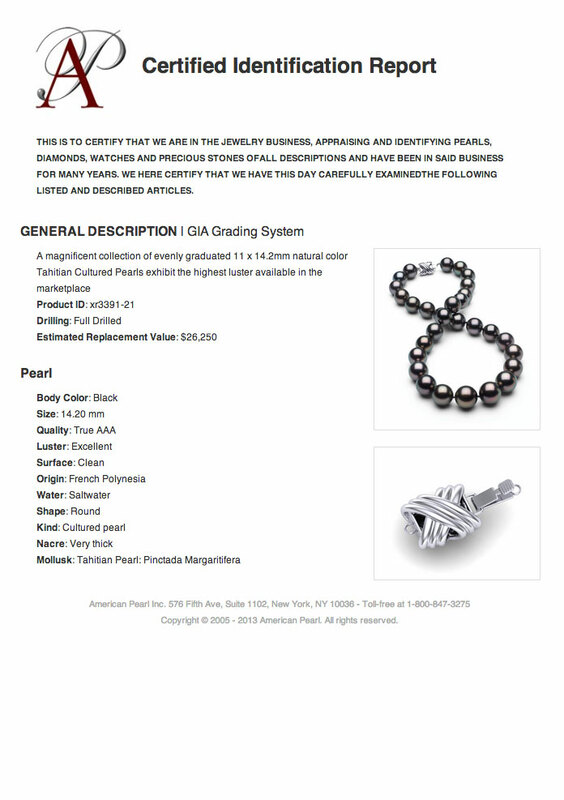 Each necklace includes a Certified Identification Report Using the GIA Pearl Grading System, issued by a GIA Graduate Gemologist. Choose from hundreds of strands available to you as you click the category of your choice below. Please keep in mind that the exact strand you see presented to you in each product photograph is the exact strand you will receive when you order along with its serial number. 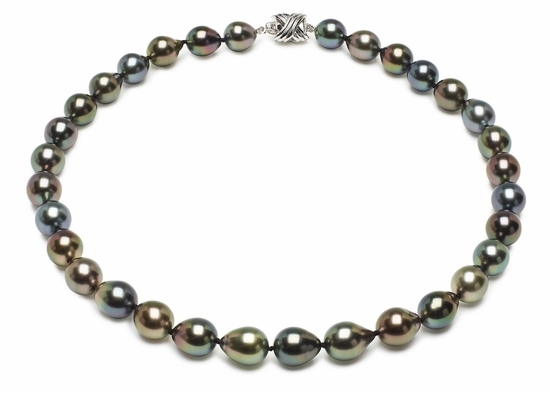 Tahitian pearls that exhibit the most color saturation and highest luster are valued the highest. You get wholesale prices and free shipping when you buy top-quality pearl jewelry from American Pearl.